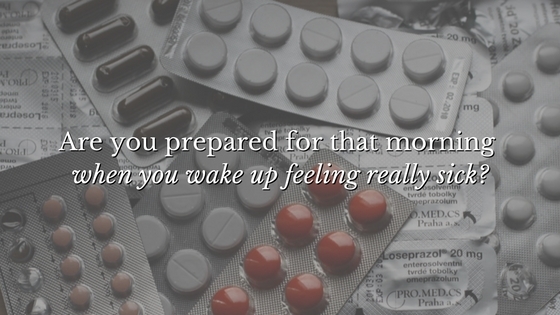 I was caught off-guard this week when I woke up Tuesday morning feeling achy, feverish, and miserably congested. I stumbled into the bathroom to find the supplies I needed to relieve my discomfort. Thank goodness I had everything I needed because I was in no condition to go out and shop for pain and cold medications that morning. My preparedness really paid off.